[Johan] really got himself out of a bind with this one. After his son started playing AppMates, he desperately wanted the requisite figures to complete the experience. AppMates is an iPad game where a child drives a small plastic car around a virtual environment displayed on the touchscreen. Unfortunately for [Johan]’s son, the officially licensed Cars characters would take at least three months to make it to his home in Sweden. [Johan] did the next best thing and made his own. [Johan] took a pair of Cars Pez dispensers and took off the figure. The bottom of the character was covered with a bit of plastic from the base of the Pez dispenser and a little bit of conductive foam and was added to the body. 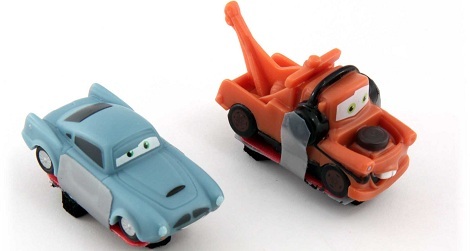 Now [Johan]’s son can drive his toys around Radiator Springs just like he could with the official figurines. There’s also the aspect of not making a child wait months for a bit of plastic, so we’ll call this one a win for [Johan].